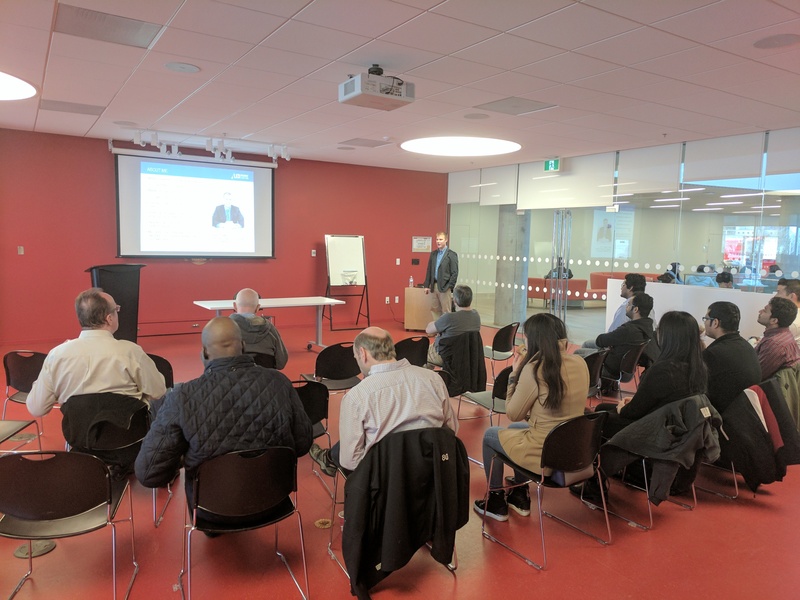 In April 10th, the Canadian Atlantic PES/IAS Joint Chapter held a seminar at Halifax Central Library on electronic manufacturing and product development methods. Adam Chaffey, P.Phys. from LED Roadway Lighting Ltd (LRL). was invited as the guest speaker. Adam is a highly trained professional who is an active participant on the ANSI C136 Committee on Roadway and Area Lighting Equipment, and the ANSI C137 Committee on Lighting Systems. He shared his R&D experience at LRL where he has been involved in the development of industry leading LED luminaires for street and roadway lighting applications since 2008. The presentation was focused on the product development cycle, challenges and practical issues in the lighting industry. High performance LED technology and electronics manufacturing have combined to revolutionize the lighting industry. Where once a lamp and a luminaire could be assembled in "anyone's garage", modern lighting manufacturing requires the experience and processes of high-yield electronics assembly and manufacturing. An industry where new technologies, modes of thinking, and products need to be created to fulfill the promise of the light emitting diode as the platform for the lighting of today and tomorrow. Adam also talked briefly about the electronic manufacturing process in general and commonly used tools and machines. 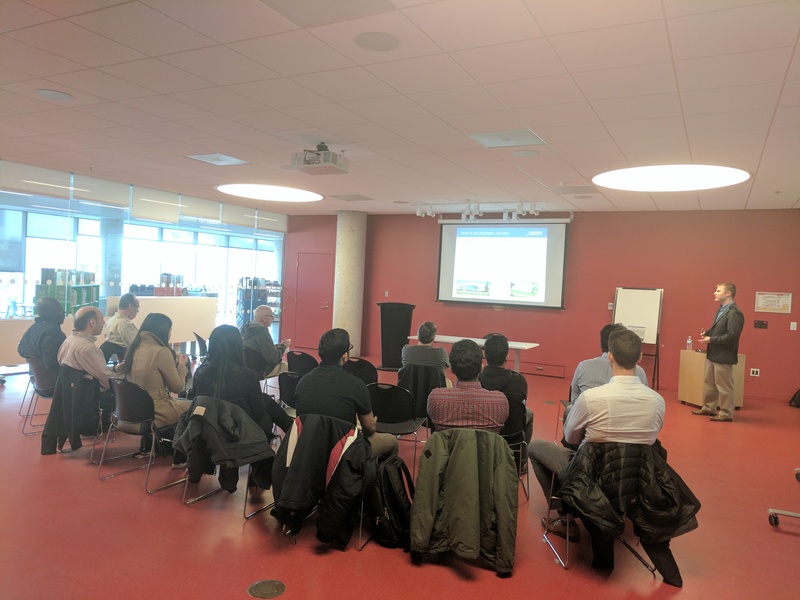 This event was co-sponsored by the IEEE Power & Energy/Industry Applications Society Joint Chapter and IEEE Women in Engineering of Canadian Atlantic Section.